Congress has proved it that India is not going anymore on communal issues and want government to focus of development and stop the blame game. Congress was on the perfect win win situation as it has a huge no. of young entrepreneurs such as my favorites rahul ganfhi, sachin pilot and farooq abdullah. Finally PM Singh declared the cabinet of miisterd we at shankee just gave a look at it. 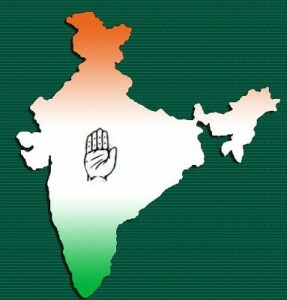 United Progressive Alliance (UPA) is a ruling coalition of political parties heading the government of India. The coalition is led by the Indian National Congress (INC), which is currently the single largest political party in the Lok Sabha (the lower house of the parliament of India). The Prime Minister of India, Manmohan Singh, and the Council of Ministers are drawn from members of the UPA. INC’s President, Sonia Gandhi, serves as the Chairperson of the UPA. The most disappointing one for me was assigning Railways to Ms. Mamta banerjee, coz i think she is just no fit for the job. Lalu had been a quite literate guy and knew what he is suppossed to do, while Mamta would keep on doing things for her vote bank. You might already know she made TATA to shift their Nano Plant from bengal to gujrat, this also made bengal loose crores of investment, something they can never recover. My another favorite was Miss Agatha, the youngest member of the cabinet and is assigned the ministry of rural development. So do you know whose the richest one in all the ministers, its Mr. Praful Patel. It was very obvious as he is a business tycoon and almost everyone knew this when he declared his assets. So the minister with least wealth is none other that Ms. Mamta banerjee who decalred some Rs3.2 lakh of wealth. Tamil Nadu begged the largest number of representatives in the cabinet (9), with DMK chief and others in coalition with Congress. We have bee seing a lot of women in the head departments this year, as out President is a female. Now comes another as Miss Meera Kumar will be the Honourable Speaker of the lok Sabha. She was assigned the Ministry of water resources.